Hello, my name is Lucy Treharne and I am 13 years old. I fear auditioning for Upper Schools, and not really sure how to get to a good enough standard for when I audition. I have been doing ballet since the age of 3, and I am currently studying RAD Grade 6 ballet, Intermediate Foundation, and have been En Pointe, for 3 years. I am flexible-ish, I can get into left leg and right leg splits, just about. I think my strengths are my performance quality and control, my weaknesses are accuracy in fast situations such as Grand Allegro. I attend two hours of ballet a week. And practise, for about one hour a day at home. I would really like to pursue ballet as a career, but aren't really sure how to prepare myself for auditions for Vocational training at 16. Specifically Royal Ballet School. At the moment, I only attend RAD associate classes every so often at Birmingham Royal Ballet, to improve my technique, and on my recent Grade 5 ballet exam, I got distinction. But, I fear it's not enough. If I compare myself to other 13 year old ballet dancers, dancers who are at White Lodge, and Elmhurst, I feel out of place. I work so hard, and it doesn't feel good enough. Should I attend more ballet classes? What type of things will be in the audition? What will the audition process be like? How do I prepare myself for the audition? What things should I work on? Is there enough time for me to get to a good enough standard? I just have so many questions. I'm very sorry. Do you know of any good dance schools, in Birmingham I could attend to improve my technique, any specialist dance teachers who could help me prepare? I just want it more than anything in the world, and fear what I have now is not good enough. Thank you for your message, I'm pleased you contacted me and I hope you find a friend/ mentor in me where I can help you progress, as well as clear your worries. Of course, I understand every thought you are going through right now. You want to be ready, prepared and in as best form as you can for when you audition. Sometimes, even thinking about what you have to come feels overwhelming which is why you must take it one step at a time now and do you absolute best to prepare yourself for what you want. You are only 13, which leaves many more years to train before you reach vocational school auditions at 16. I feel like you should have as many ballet classes as you can now, and private teaching if you are able to. 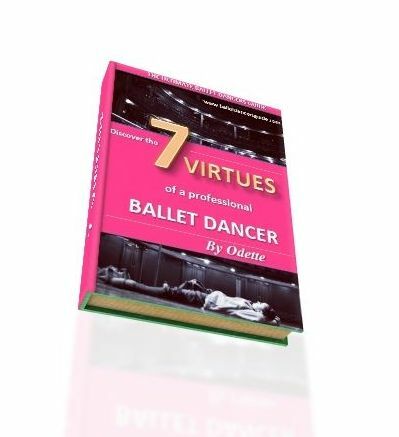 I know there are many stories of dancers who haven't neccessarily had a lot of serious training before they joined a vocational school like Elmhurst or Royal Ballet, but these cases are rare and most of the dancers have had some sort of training beforehand. I must ask, is there anything stopping you from auditioning for a vocational school now? You can join from the age of 11 and the schools in the UK have an exceptional reputation for academics too. There are also scholarships you can apply for if your family is unable to support you financially. It sounds good what you are doing at the moment, but obviously if you are able to put yourself forward for a vocational school now it will put you in the best position for upper schools at 16. It is something to consider, but for now I would definitely keep up the classes at Birmingham Royal Ballet and the RAD, which will progress you onto the standards you need to be for upper schools. I hope this advice gives you something to think about and please feel free to keep in touch. Let me know your thoughts.